Don't let the rain get you down - fresh spring blooms are on their way! 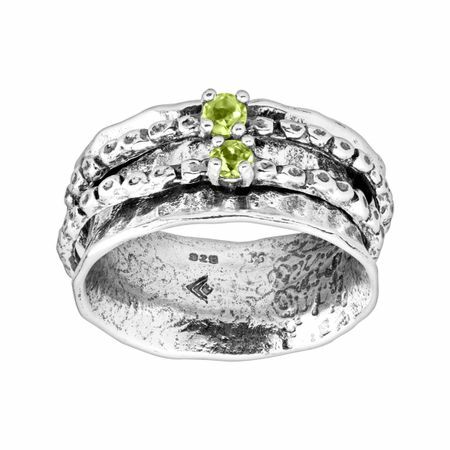 This sterling silver ring features two beaded spinner bands with a peridot accent on each, perfect for adding a hint of greenery to your collection. Ring face measures 3/8 inches in width.